More wireless connectivity standards included in Wireless Test System update for multisite automated testing. 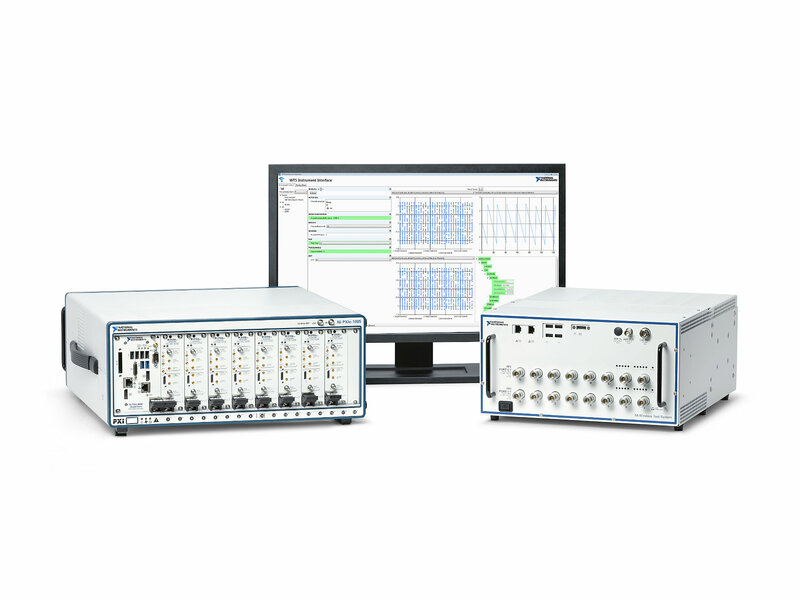 National Instruments (NI) has updated its Wireless Test System (WTS), a product for multisite automated testing of wireless devices. The latest release 1.3 of the WTS includes support for 8×8 multichannel configurations and custom 802.11ax test steps with device under test (DUT) control for efficient parallel test of new connectivity devices based on the IEEE 802.11ax draft standard (Draft 1.1). Additionally, release 1.3 of the WTS improves parallel test of Bluetooth 5 and low-power Internet of Things (IoT) standards, such as ZigBee and Z-Wave. The new 802.11ax draft standard includes significant changes to the physical layer (PHY) to deliver higher average data throughput per user in crowded environments. These changes introduce more complexity to characterization, design validation and production test efforts, but engineers can take advantage of the WTS to automate their 802.11ax measurement solutions for accurate and extensive test coverage of their new designs. The WTS instrument software and NI’s vector signal transceivers (VSTs) power large multiple input, multiple output (MIMO) setups up to 8×8, dual-band simultaneous test and accurate error vector magnitude (EVM) measurements. The new software also addresses the difficult task of creating a variety of trigger-based multiuser scenarios in which each simulated user has unique waveform settings and impairments. To shorten development time in the presence of these new test challenges, the WTS provides built-in support for DUT control tools from leading chipset vendors. Furthermore, release 1.3 of the WTS also includes updates to the TestStand Wireless Test Module (WTM). As an extension of NI’s TestStand software, the industry-leading test executive for parallel test, the TestStand WTM simplifies the creation of complex wireless test sequences for the lab and the factory. The WTM helps engineers achieve fast test times and high throughput by automatically scheduling the execution of multisite test plans for wireless connectivity devices. The WTS presents an efficient and robust platform for multisite test of the latest 802.11ax, Bluetooth Low Energy and low-power IoT devices. This approach systematically scales with the evolving RF requirements of wireless standards to lower the cost of test, increase production output and future proof testers for tomorrow’s challenges.